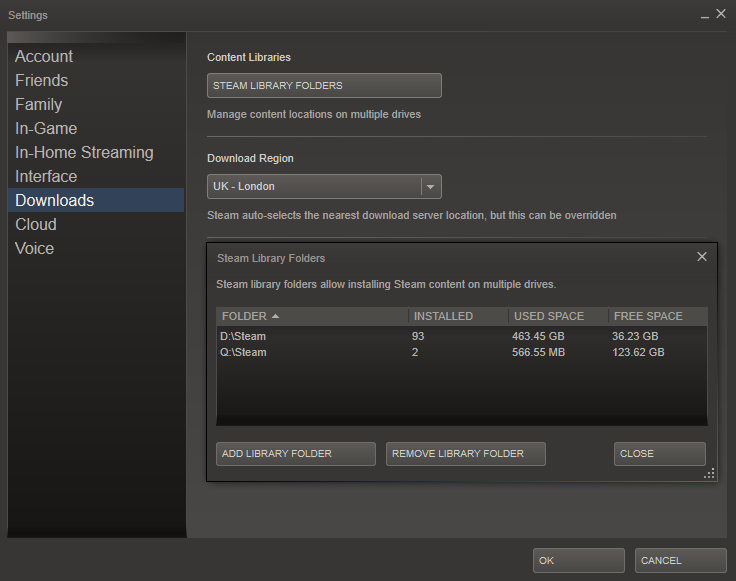 Steam, Valve’s content delivery network, games marketplace and cloud savefile storage system, among other things has supported having multiple install locations for your games library. As SSDs become more and more prevalent and cheaper, many people are looking to install their stuff on the much faster SSD. From here, you can click “Add Library Folder” and specify the location of your new library. However – and this took me about a half-hour of searching – you can’t add a new location *while a game is updating or a download is taking place. *To get around this just pause all your downloads!